Well the weather is officially on the turn. It’s getting colder, especially first thing in the morning, and we’ve had a few rainy days. But this isn’t going to stop us from getting out. Especially now Tom is walking and so is no longer having to crawl his way through wet grass. 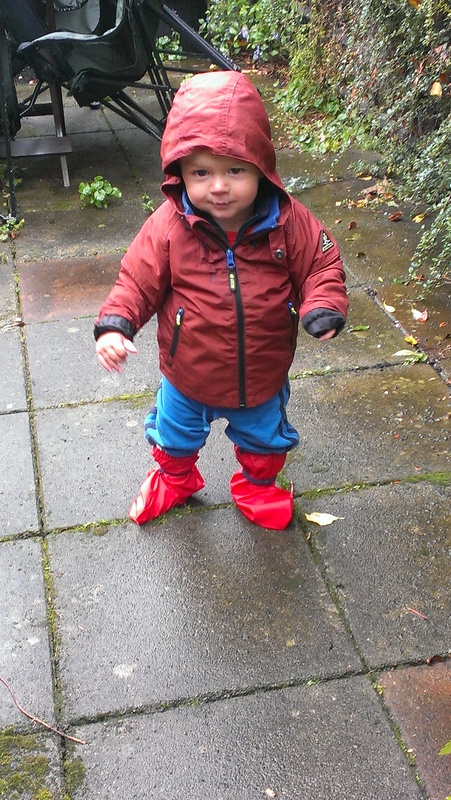 I thought I was going to have to look into some barefoot shoes for him (are barefoot wellies a thing? Must check…) but fortunately found a pair of these ‘rain footies’ on eBay. They are essentially plastic bags that attach with some elastic round the ankles. It’ll be a long time before he grows out of them, but he still seems able to walk ok. Waterproof trousers are definitely next on the wishlist. 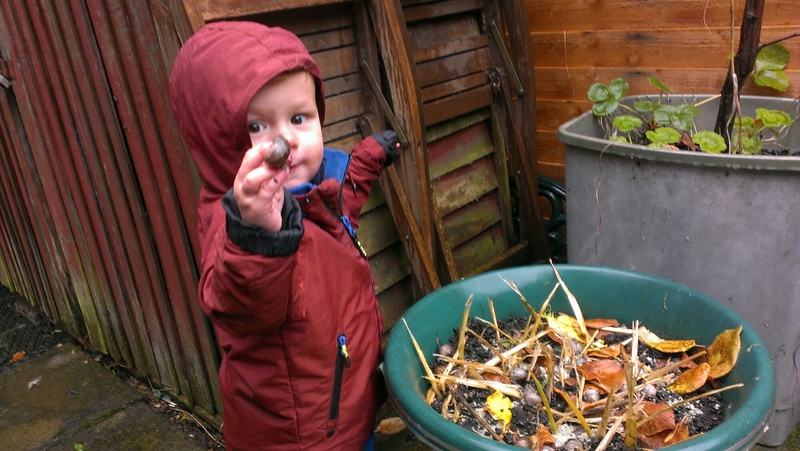 We’ve enjoyed pottering around the cat litter box garden, investigating the local wildlife. And the play area of the park is completely abandoned when it’s wet, giving Tom a chance to play without getting trampled by bigger kids. All in all, wet weather is no reason to stay inside. We love playing in the rain! 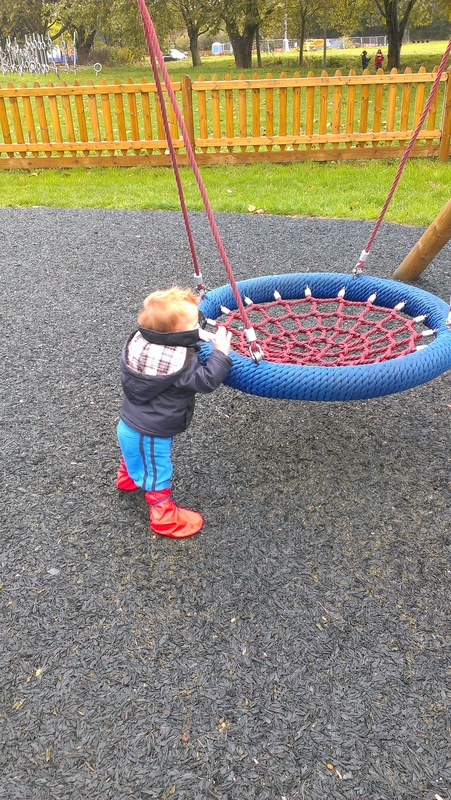 Posted on October 24, 2015 December 18, 2015 by LucyPosted in Outdoors, Play Ideas, Wild TimeTagged barefoot walking, learning to walk, Leyton Jubilee Park, Playing in the rain, rainy days, toddler. We went jumping in puddles in the rain this week. I think I enjoy it more than my eldest son! 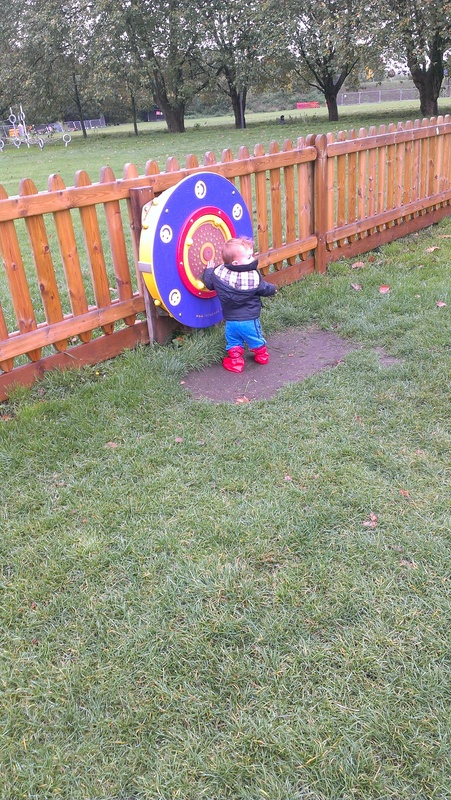 Might look into those shoes if my ten month old starts walking this winter, all indications are showing that he will! Do it! Brilliant for crawlers too. I got ours on ebay. Aww, I love his waterproof over shoes! You can get similar ones that are fleece lined for winter too, although they aren’t that easy to walk in. There’s definitely no reason not to go out in the rain, unless it’s incredibly heavy (we got soaked today! 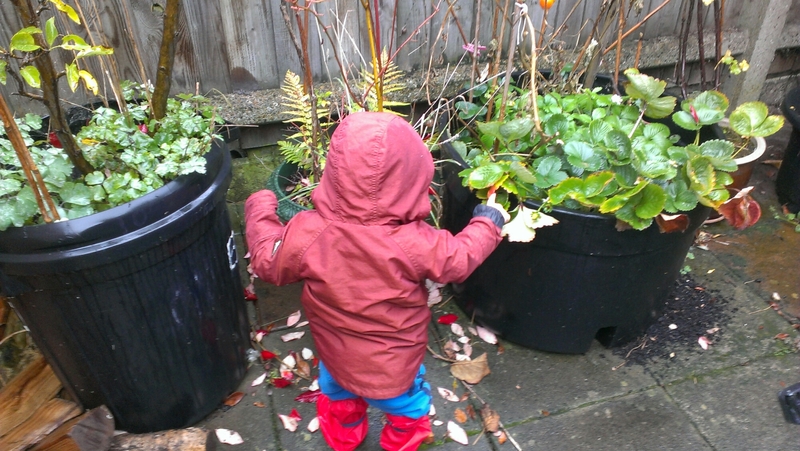 ), even then a wander around the garden in waterproofs is no bad thing! We found that and all in one at that age was great, so then there top won’t ride up when playing. Completely agree about going to parks when it’s not ideal weather, it’s nice to have it all to yourself sometimes! We have tights and extra socks for when it gets cold, so hopefully no need for fleece lining. May be popping onto the Wet Wednesday’s website for some waterproof dungarees though. Thanks for hosting #whatevertheweather! Yeah me too. Didn’t used to, but then I realised it was because I didnt want my hair to go frizzy…because clearly a hat would have been impossible!